. 3rd January, 2019 . 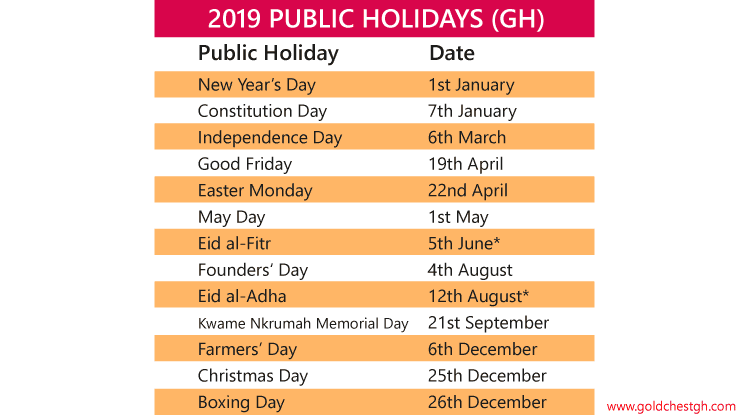 Ghana will have 13 public holidays in 2019. We now have 2 new holidays: Constitution Day which falls on 7th January and Founders' Day on 4th August. The 1st July Republic Day and the AU Day have both now been scrapped. The following are the official public holidays in 2019.